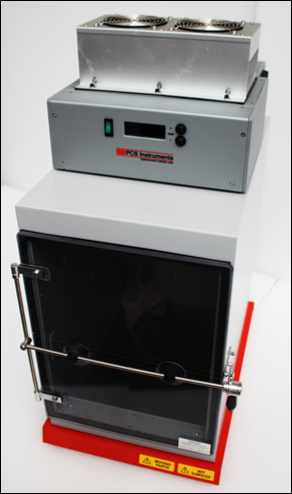 The temperature control unit is a compact user friendly accessory for the HFRR2, it has been developed to ensure all our customers can meet the upcoming changes to the ISO 12156 test method, even under extreme lab conditions. The unit can both heat and cool, and the temperature can be set to produce different ambient temperatures for further research testing. The TCU is easily attached to the HFRR humidity cabinet, and allows users to regulate the cabinet’s internal temperature. The conditions are set using the simple control panel at the front eliminating the need for any changes to the software. 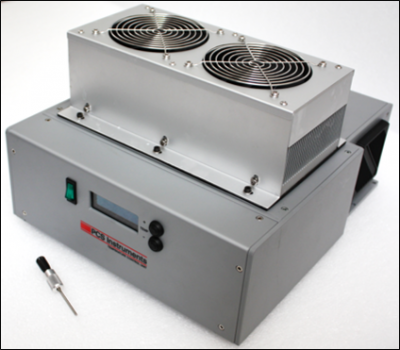 With a laboratory temperature of up to 30 degrees Celsius, the TCU can cool the unit to within the specified ISO limits in approximately 20 minutes from powering on. Once the temperature reaches its target, and in combination with the humidity controlling salt bath, the required ambient conditions will remain constant throughout the test. 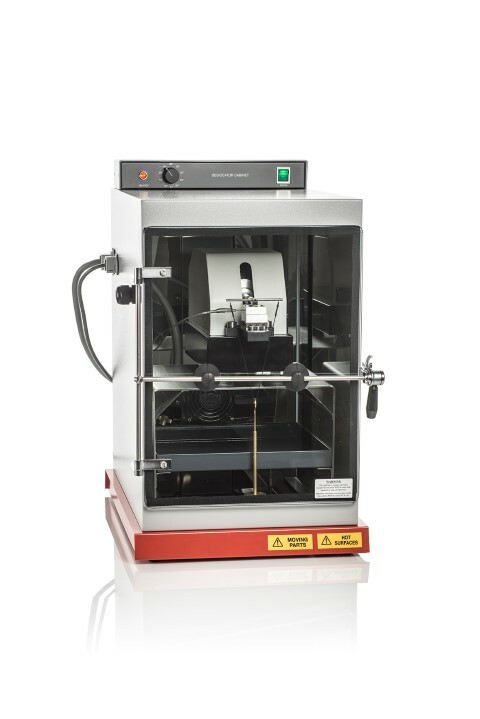 The cabinet can then be held at these conditions significantly reducing the turnaround time between successive tests. Note: The accessory is only available for the humidity cabinet supplied from July 2018 onwards. For further information, please contact your local distributor on retrofitting this accessory to older humidity cabinet units.